Is your air conditioner not cooling enough especially in the hot summer months? If so it may be time to contact a qualified air-conditioning technician. One of the best approaches to maintaining your air conditioner in peak condition where it will deliver maximum performance is to conduct routine preventative inspections on the unit. Early spring is one of the best times to do a routine inspection on your air conditioner. This is a far better time to find out if your air conditioner is not functioning correctly. Is your air conditioner not cooling enough in the springtime? If that is indeed the case then your air conditioner will certainly not produce adequate cooling in the approaching hot summer weather. Staying ahead of any potential air conditioning problems in the springtime is the best way to enjoy the benefits of an icy crisp blowing air conditioner during the summer. Routine springtime inspections include checking vents and inlets for obstructions and blockages, as well as checking wiring and ducting for damage or breakage. Oftentimes using a simple garden hose to spray in and around vents and cooling fins can remove accumulations of debris that have collected over the winter. Once these basic preventative maintenance items have been accomplished then it is simply a matter of turning on your air conditioning and testing for adequate flow and proper temperature. Is your air conditioner cooling enough in the spring? If it is you can likely assume that you will have a well performing air conditioner as the hot days of summer quickly approach. If on the other hand you discovered during your springtime inspection that your air conditioner is not producing adequate volumes of air or ice cold output then it is perhaps time to call in a professional. 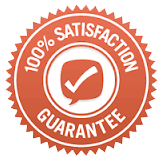 A highly skilled, qualified and experienced air-conditioning repair technician can quickly identify and correct problems that may exist with your air conditioning unit. 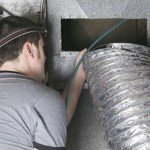 In addition, qualified air conditioning repair technicians have testing equipment that is capable of locating potential problems that a homeowner may not even know existed. Is your air conditioner cooling enough during the hottest days of summer? Even with a complete early spring air conditioning inspection sometimes the hottest days of summer can create havoc for even the best-maintained air conditioner. When an air conditioner breaks down at the height of summer heat it is important to have an air conditioning specialist standing by and ready to assist you on very short notice. This means thinking ahead and having a trusted air conditioning repair technician in mind when conditions warrant. In the heat of summer an air conditioner is one of the most important appliances in a person’s home, and having that appliance in perfect working order should be a top priority. This summer stay cool and stay safe with a perfectly running air conditioner.